The Mr X appeal is coming back to campus this November. For those out of the loop, the Mr X appeal provides us with a list of children’s names who are in need of a present this Christmas. We ask University staff and students to pair up with a specific child and donate a suitable gift to them. Names are provided from child care agencies in the South West Wales area. Those on the list may not receive a Christmas gifts without this appeal. If you’d like to get involved, visit your closest Students’ Union office and pick out a scroll from our Christmas tree or gift box. The scroll with provide you with a name, age and sometimes a clue to the child’s interests to help you pick out the perfect present. 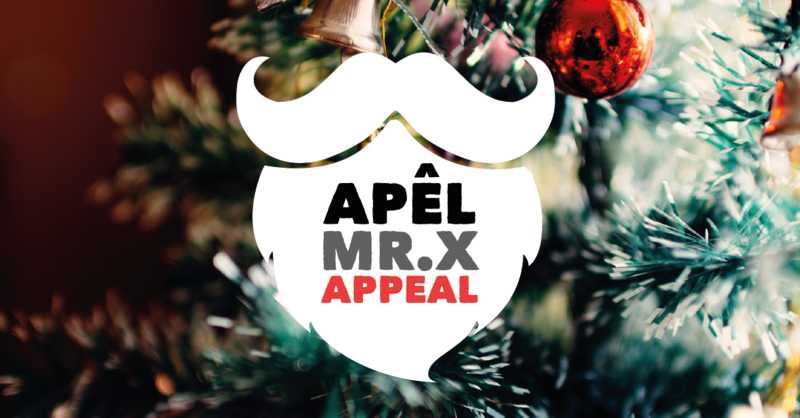 All you need to do is bring back your gift before the 1th December and the team behind the Mr X appeal will do the rest, making sure your gift is delivered just in time for Christmas! Your gift doesn’t need to break the bank, and you aren’t solely responsible for providing your matched child a gift so don’t worry if something happens which makes it so that you can’t commit. "It's not about how much you spend, but the thought that goes into it - and ultimately ensuring that no child wakes up on Christmas Day without a gift. If you do decide to get involved, please make sure to follow the rules provided on your scroll. These include not wrapping your gifts, as this makes it hard for volunteers to inspect donations; unsealed gift bags are perfect though. Avoiding sweets, food and perishable gifts; you never know if someone has an allergy or if delivery may be delayed. It’s also very important to include your reference number on your gift (provided on your scroll) so your donation can make it’s way to your paired child without any issues. Thanks, and merry Christmas! We hope you see you in the office soon. If you would like to know more about this campaign or would like to volunteer to help out on this project, please get in touch.